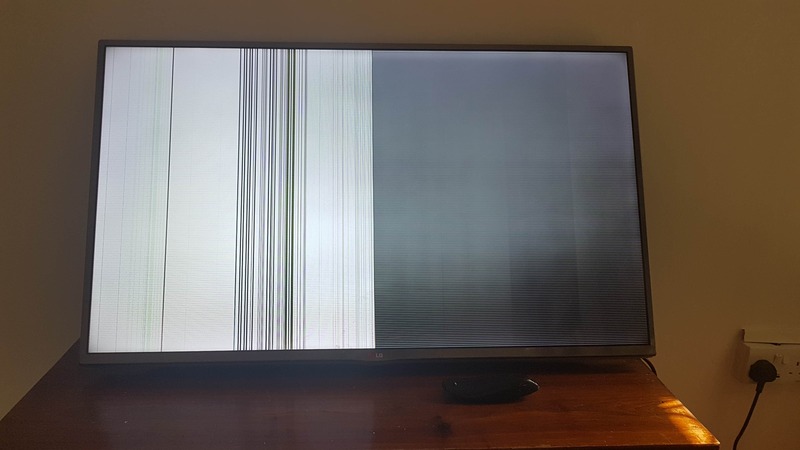 Hi...I am facing a problem with mt LG Smart TV Model 42LB6250, the display turns on but shows rainbow stripes. Any one faced similar problem and can tell me the cause of this problem? Took for repair but was told will take long to order a display/motherboard. My telly is doing something similar. Entire screen gets vertical lines on it and goes away if I turn telly off. Had similar problem last year and it was repaired under the five year warranty. Going to call warranty people again to have it repaired. Rubbish telly if you ask my personal opinion: we are light users and may watch 4/5 hours a week! I’m going to try and ask for refund or a replacement. Pointless having an expensive large screen tv when you cannot use it properly.